WHAT SET YOU ON THIS PATH? About 10 years ago my body and mind started to fail me. I started to experience some mental health issues in the form of depression and anxiety, which was really a scary experience. I had never felt this way before. I immediately started looking for ways to feel better physically,mentally and emotionally. At the time I definitely didn’t feel this way but looking back on the whole experience, I’m so grateful for it all. It put me on a path towards deep, meaningful change. Three years ago I started up my own mindfulness coaching business. 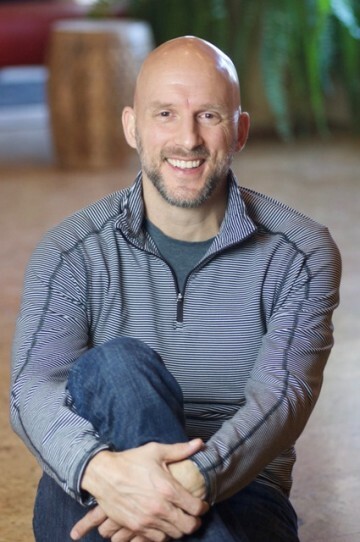 Mindfulness practice has had such a transformative effect on my mind, body and soul it was something I knew early on that I wanted to share with the community and beyond. My passion and mission is to help people bring a greater level of joy, peace and overall health and well-being into their lives through this practice. One of my mentors Jon Kabat-Zinn, Ph.D. is internationally known for his work as a scientist, writer, and meditation teacher engaged in bringing mindfulness into the mainstream of medicine and society. His work inspired me to explore and learn through my own practice what it means to be truly mindful. Living in a busy world inundated with so much information and sensory stimuli, we often find ourselves stuck between our ears processing it all, or when we’re not trying figure it all out we may be back in our heads ruminating over past events or worrying about future ones that have yet to happen. Whatever the case is, this leaves us out of touch with what’s happening now in the present moment. Mindfulness in its essence is about being here for our lives. Learning how to pay attention and bring awareness to our bodies, minds and the world around us in a kind, open and curious way. When we become more aware and present we learn to get out of our own way and give ourselves an opportunity to live lives of greater peace, contentment and wisdom. I am passionate about the neuroscience behind practicing awareness and its positive effects on our mind, body, and soul. • Bring awareness to the stories you tell yourself, most of them aren’t true! Please visit my FaceBook Page for insights and updates.